As we YWAM we partner with the Salvation Army, which it’s a Christian organization that was founded in London in 1865 with the purpose to help the poor with food, shelter and spiritual need. Every Tuesday we help in the drop-in from 7:30- 9:00 PM. 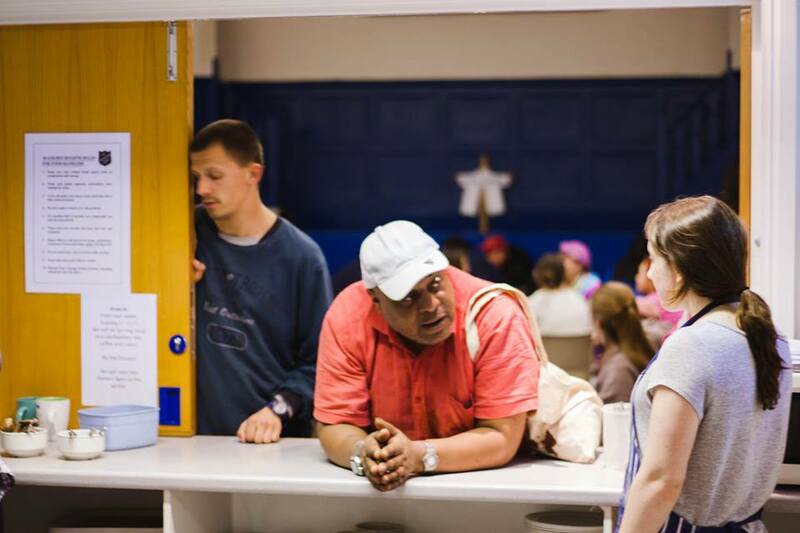 We offer a hot meal, tea, coffee, cakes, showers, prayer and fellowship time. For the past five years we have been able to serve, love and intercede for the people. It’s not only a privilege to serve but also to see how much God loves them and through other organizations provides pastries, cakes, fruits, toilet treats, coats, blankets, etc. Every Christmas we serve a proper roast dinner, have the band of the Salvation Army playing and enough donations for all of them to receive a bag of toilet treats. There’s so much history, pain, traumas and wounds in these people. But there is also an identity that we believe that will be restored. We believe in hope, life and salvation because we can see God’s love in a very tangible way every Tuesday by us loving them, encourage them, listening, crying and praying for them. There is so much more beyond what we can see with our own human eyes. This is more than just a meal. We want them to feel safe, to see and feel God’s love for them.